Growing your Telegram channel is a cumulative process. The more people in your community, the faster your community will grow. This is the network effect – followers beget followers until you achieve a critical mass. Like social media before it, this law of populations is the primary fuel for crypto communities and ICOs. According to Max Galka of Elementus, 90% of total coin sales in 2017 happened solely through an ICO. As your membership accumulates, investors must respect the collective weight of opinion. With ICO exit scams top of mind, an active social presence is a clear sign of a valid enterprise. On the flipside, crypto investors are notoriously fickle. If they catch wind of a more exciting coin, they’re gone faster than you can say “FOMO.” Faced with such volatility, cultivating a Telegram group can feel like a Sisyphean task. A robust Telegram community will enable you to secure the fleeting interests of investors. As your channel expands, doubts will shrink. As more people trust your project, social proof will help you to cement loyalties and chart for growth. This section shows you how to implement a growth marketing strategy for your Telegram channel. Whether your aim is early adopters or viral growth, you’ll find a structured approach to engaging and expanding your Telegram community. From paid channels to word of mouth, this multi-channel approach gives you all the tools you need reach your widest audience with the greatest impact – and transform followers into investors. Marketing your channel falls outside the purview and timetable of any one person. A founder’s skills aren’t best used for marketing, nor is it the sole responsibility of the community manager. Hiring a growth team will augment your project with professionals whose sole focus is to generate visibility and grow your Telegram channel. Expect them to implement strategies proven to entice new members – from email marketing to automating the delivery of your white paper. This includes answering the nonstop questions of community members. From project basics to the details of your technology, a growth team will nurture your follower’s interest with efficiency, enthusiasm, and expertise. With the right help, each interaction becomes an opportunity to position your brand in a positive light. Seen below, Crowd Create delights a channel member with a quick and in-depth response. Community members take note when they receive a prompt reply. The responsiveness of a brand is the #1 predictor of purchasing behaviors in digital social settings, according to Sprout Social. Prioritizing the back-and-forth will show followers that you care. This attentiveness will return dividends in the form of trust, word of mouth, and referrals from community members. You can hire a growth team from a community marketing agency or save money by finding freelancers on sites like Upwork. An airdrop lets you distribute a small number of free tokens into the wallets of prospective community members. This seeds your Telegram with people invested in your project and keen to understand more. An airdrop announcement will also spark interest in people who didn’t receive a token. This creates a conversation between token holders and would-be investors, as both parties are curious about the new coin. 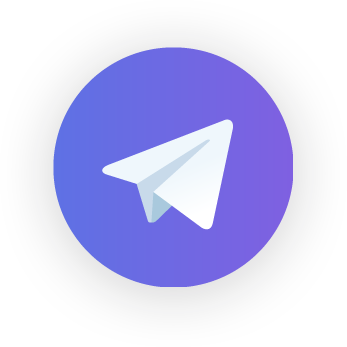 This organic engagement will drive people to join your Telegram channel and discuss your project further. An airdrop will also help with the appreciation of your token price. Fact is, people automatically ascribe more value to objects that they own over those they don’t. In psychology, this is what’s called the endowment effect. You can list your airdrop on websites like AirdropAlert to help maximize your reach. In a crypto community, people are your power. A referral program – also known as a bounty – leverages existing group members to spread the word about your ICO. This works because people are more inclined to trust those who resemble themselves than a brand.Your Telegram will grow and garner trust faster if community members speak on your behalf. Additional coins are a powerful motivator for community members. When new members arrive from their referral link, the group member gets a reward. In this example, Nitro details how bounty hunters can earn tokens in NOX after the company goes live. Various tactics can drive participation, from posting in the Telegram group to website banners to social media. These interactions can generates word of mouth across multiple channels and result in a cascade of signups. Post your referral program on your website or BitcoinTalk. Tools like Protodrop help you to save time while automating your referral process. Microsoft's LinkedIn and Snapchat are the only big-money channels that still allow ICO and coin-related advertising. However, you can leverage the grassroots channels of Reddit and Telegram. Reddit is a cheap way to generate awareness within a highly engaged crypto community. Yes, Redditors frown on branded content in the feeds. However, no one will complain if you run a pay-per-click ad atop the subreddits feed – for only $0.75 per thousand pageviews. For example, HippoHelp.com targets r/cryptocurrency members with an ad for food and accommodation. You can also purchase the entire subreddit ad inventory for up to three months. One case study found that investing less than $100 on Reddit earned 75,000 impressions and five conversions. You can advertise on Telegram by publishing ads on third-party channels, such as official website groups. The price ranges from $250 - $1000, depending on the channel. To inquire about advertising, message the channel admin. Services like tsear.ch or tgstat can be used to assess the channel’s analytics and predict the performance of your ad campaign. Publicity from credible sources will generate awareness and trust for your project. Prepare a pitch before you make contact. Journalists are busy people whose foremost concern is a relevant story. Include your value proposition, the impact of your project, and a couple possible story angles. For example, you could highlight the impact that ICO companies are having on crowdfunding in impoverished communities. The more timely and captivating your pitch is, the more likely you’ll get coverage. You can also share in mutual PR with Telegram channels of a similar audience. After reaching an agreement, leverage your best content – not promotions – to encourage the flow of mutually beneficial traffic. Partnering with an influencer gives you access to an engaged and loyal audience of thousands. If an influencer mentions your ICO, their followers will leap to understand more. YouTube influencers are most effective because the platform functions as a learning hub. According to Think with Google, 86% of people use Youtube to learn something new. As the second largest website and search engine in the world, there’s no better place to find a receptive audience. In the following example, Nicholas Mertin from DataDash gives a video walkthrough of Oyster Pearl. The breakdown mentions the startup’s website, outlines the value proposition, and directs viewers to their channel. Storytelling also helps to capture the audience's attention and drive maximum impact. With billions of active daily users, social media lets you engage the widest possible audience. Use social profiles to tell your story, engage with followers, and drive traffic to your Telegram. The more active you are online, the more visible and well-known your brand will become. To engage your audience, share valuable content such as news, influencer ReTweets, and original content. Your content should answer your investor’s most important questions and encourage them to join your community. Don’t skimp on the visuals because people love pictures and video. In fact, Facebook posts with images receive 2.3x the engagement than those without images. Be sure to align your messaging with the behavior patterns of each platform. Facebook is ideal for sharing videos and telling your story. Join relevant crypto groups, then leave and reply to comments to earn respect and grow your audience. Twitter revolves around 140-character tweets and videos. Share your thought leadership with users who love to engage with news, big ideas, and intelligent discussion. Reddit is the primary conversation space for cryptocurrency (outside your Telegram). Join relevant subreddits to engage with potential community members and position your ICO without being overtly promotional. Quora is the world’s largest question and answer site. Leave thoughtful replies to garner attention, then link to your Telegram to gain followers. To grow your community, you must understand your community. Where are they from? What do they want? How do they perceive your project? Interacting with crypto investors off-channel will improve word of mouth, drive people to your channel, and help you to refine your messaging. Asking for feedback is a great way to spark one-to-one engagement and show prospective members that you care. When followers can interact with an ICO directly, it welcomes them to the Telegram and helps create a sense of belonging. Both Discord and Telegram offer direct access to large user communities. You can join channels to chat directly with users in that group. You can also use Telegram to publish the link to your channel in online catalogs. The benefit of this is that online catalogs send chatbots to their subscribers by category, and your channel’s chatbot could included. Tchannels.me provides a full list of Telegram catalogs. In order to reach the first page, ask community members to give you a five-star rating. If your channel finds its way to the top, you’ll get lots of free traffic. BitcoinTalk is a popular forum with threads about all things cryptocurrency. Use it to find followers from different regions, weigh in on trending topics, or aspects of project development. Facebook is a popular point of entry for crypto enthusiasts. More than 2 billion people use Facebook daily, making groups like these a great place to engage with potential followers. Growth is a slow-moving but critical asset to your Telegram channel. To grow your community, try to reach as many people as possible, as effectively as possible. Once members feel that your ICO is imminent, the network effect will take over and growth will become viral. Member retention is equally important. In order for grow steadily, you must simultaneously mitigate member churn while attracting new followers. In the next blog post, we will discuss how to drive member retention in your Telegram. You’ll learn the strategies and tactics needed to create a secure environment that fosters trust and promotes investment from within.